As the 2016-17 NBA season tips off, the NBA and Globe Telecom, the League’s official wireless and broadband services partner, provide an updated NBA app user experience for sports fans to watch the NBA live on their mobile devices. Globe customers subscribing to any NBA promo will experience a simpler registration process without the need to input PIN codes to access NBA content on their mobile devices. Once customers complete the promo registration, users will receive a link via SMS directing to the NBA app to verify their mobile number. Once authenticated, fans can immediately enjoy NBA games and programming on their mobile devices. “Globe is committed to providing the best possible mobile experience so that our customers can access content seamlessly on their devices. By closely working with the NBA, we have developed a streamlined registration process, free of inputting tedious PIN codes. This way, one can easily access NBA games and content anytime,” said Globe Senior Advisor for Consumer Business Dan Horan. Avid NBA fans can now catch their favorite team games and game specials through their Globe Broadband plan that comes with six months free access to NBA LEAGUE PASS. On mobile, NBA promos are also available in three service offerings: NBA499 for a 30-day premium access, NBA299 for 7 days, and NBA50 for a 24-hour access. To begin the NBA LEAGUE PASS registration process, Globe users must text the preferred NBA promo keyword (NBA499, NBA299, NBA50) to 8080. Additionally, the NBA app provides millions of fans access to NBA LEAGUE PASS that features premium content via the Video Vault—a collection of archived NBA videos and TV shows including Hardwood Classics and NBA Inside Stuff. Fans can experience these in HD video with games having an option for home and away game commentary and integrated game stats modules. NBA LEAGUE PASS, the league’s live games subscription service, will introduce a completely new way to watch basketball on mobile devices and tablets throughout the 2016-17 NBA season with the introduction of NBA Mobile View. The new NBA Mobile View meets the needs of today’s sports fans and their desire to consume content on the best screen available by providing a zoomed-in, tighter shot of the action that it optimized for the smaller screen size of mobile devices. When fans select any game through NBA LEAGUE PASS, NBA Mobile View will appear as an additional viewing option. Home and Away “traditional” views will remain. Developed by the NBA and Turner Sports through their NBA Digital partnership, the new offering was created by installing new cameras in all 29 NBA arenas with each game having a designated producer specifically for NBA Mobile View. 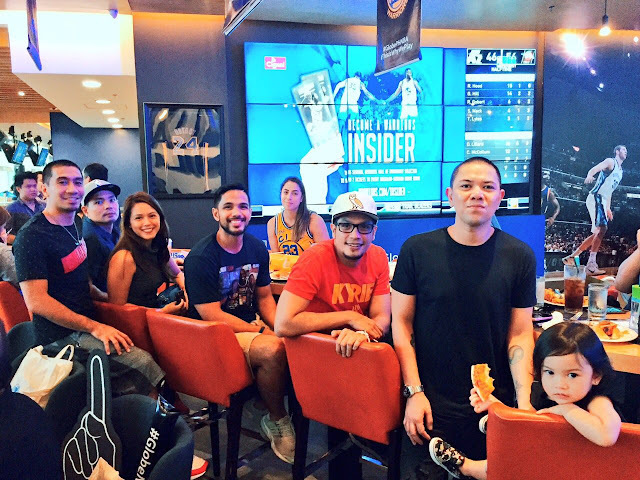 In 2014, Globe Telecom and NBA signed a comprehensive, multiyear partnership that involves offering customers exciting NBA-related promotions and premium services headlined by NBA LEAGUE PASS for live and on-demand HD access to the NBA regular season and marquee events including the All-Star Weekend, NBA Playoffs, and The Finals.